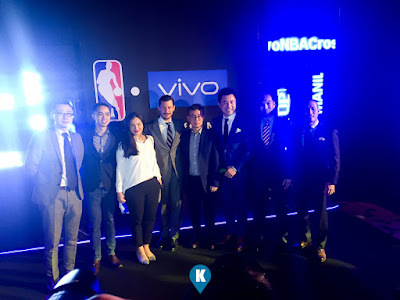 In a momentous crossover, the National Basketball Association (NBA) and Vivo, the leading smartphone manufacturer and the Official Smartphone of NBA China, announced a multi year marketing partnership that will make Vivo the Official Smartphone of the NBA here in the country. 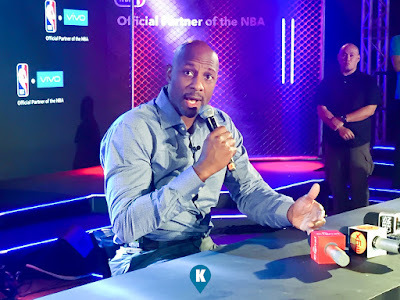 Announced the other day at the Sofitel Harbor Garden Tent by NBA Champion and seven-time NBA All-Star Alonzo Mourning of the partnership. 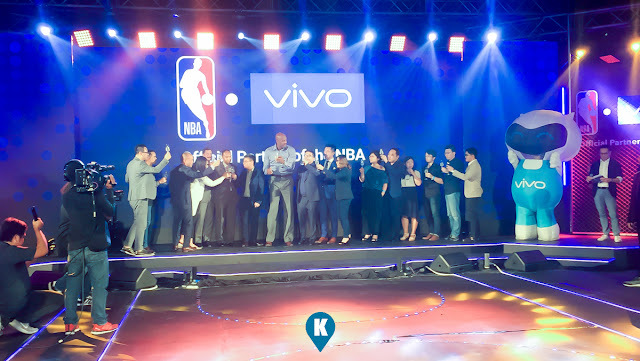 He was joined by NBA Philippines Managing Director Carlo Singson and Vivo Philippines Chief Executive Officer Ted Xiong. With this collaboration of the two great brands, Vivo will be the Presenting Partner of the NBA Playoffs Bracket Challenge, a fantasy basketball game that allows participants to submit their NBA Playoffs predictions. 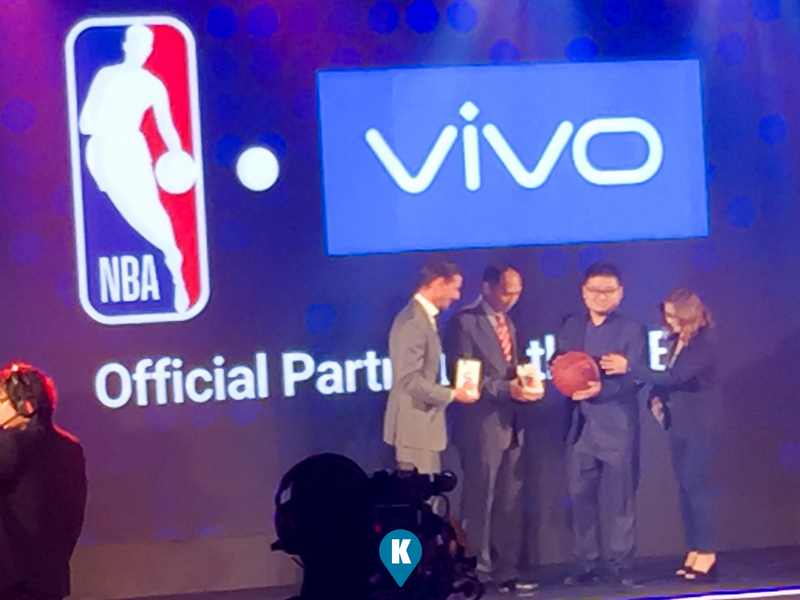 As an official partner of the Jr. NBA in the Philippines and NBA 3X Philippines, Vivo will push for the league's youth platforms to stage, interactive fan activities and showcase its latest mobile devices in the process. Vivo will likewise will have presence on NBA Facebook, including select game highlights, vignettes and photos. "We are excited to partner with the NBA, who share our core values of teamwork, respect and community" said Ted Xiong. "The popularity of the NBA will enhance our brand image and introduce our mobile devices to more users, and we look forward to working with the league to create experiences for fans to enjoy the game." 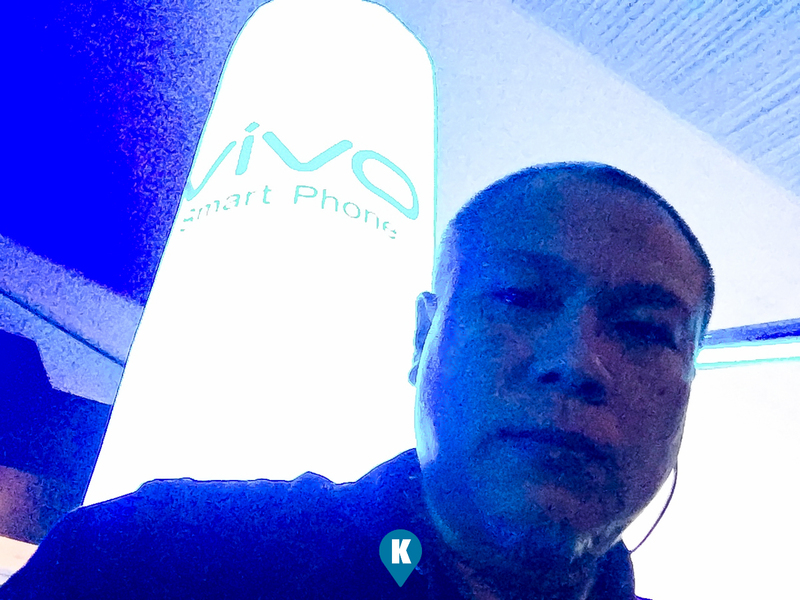 NBA Carlo Singson likewise has said this, "Vivo is the ideal partner for us to deliver new ways for fans in the Philippines to experience the NBA right at their fingertips.... With innovation at the forefront of Vivo's products and services, we look forward to integrating Vivo into our local events and global platforms through content creation and activations that will engage the modern Filipino fan." The NBA is a global sports and media business built around four professional sports leagues; the National Basketball Association, the Women's National Basketball Association, the NBA G League and the NBA 2K League. The NBA has established a major international presence with games and programming in 215 countries and territories in 50 languages, and merchandise for sale in more than 100,000 stores in 100 countries in six continents. NBA rosters at the start of the 2018-2019 season featured 108 international players from 42 countries and territories. NBA digital assets include NBA TV, NBA.com, the NBA App and NBA League Pass. The NBA has created one of the largest social media communities in the world, with 1.5 billion likes and followers globally across all league, team, and player platforms. Through NBA Cares, the league addresses important social issues by working with internationally recognized youth-serving organizations that support education, youth and family development, and health related causes. Vivo Mobile is the a world leading manufacturer of personal smart devices and provider of mobile internet services. The Vivo brand has always adhered to the brand spirt of "Dare to Pursue the Extreme and Continue to Create Surprises" and is committed to creating an extra ordinary digital lifestyle for consumers through "technology" and "fashion". Vivo upholds the core values of "individual, innovative and consumer oriented", adheres to and implements sustainable development throughout the value chain and is committed to becoming a healthy and long lasting world class enterprise.